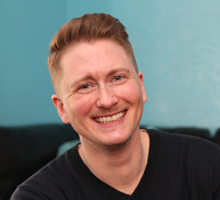 Andrew Spiers is a trans/queer writer, musician, and radical social worker. Kavi Ade is a Poet, Youth Arts Educator and Graphic Designer. 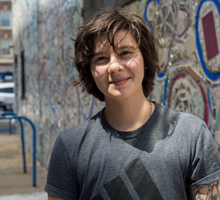 Mariya E. Oneby is a writer and percussionist who invests energy in supporting trans youth and gender autonomy. 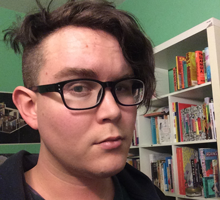 Tyler Vile is a writer, performer, and activist from Baltimore, MD whose novel-in-verse, Never Coming Home, is available on Topside Press. She is a member of the board of Hinenu: The Baltimore Justice Shtiebl, a radically inclusive synagogue, and was the vocalist in a punk band called Anti-Androgen. 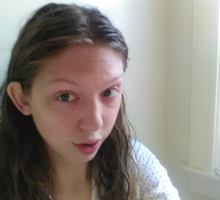 Her interactive poetry zine, Hassidic Witch Murderer is available on her website, tylervile.wordpress.com. Her work has appeared in the Lambda Literary Award nominated anthology, Resilience, published by Heartspark Press, as well as the magazines Femmescapes, Beltway Poetry Quarterly, and Rogue Agent. She hopes to one day become the world's greatest transsexual lesbian yenta. *This session at Penn LGBT Center, 3907 Spruce St.
Annie Mok is an author-illustrator, a regular contributor to Rookie Mag and The Comics Journal, co-creator of Swim Thru Fire with Sophia Foster-Dimino, co-star in the upcoming feature film Phaesporia, a musician, and host and producer of the movies podcast Lights Go Down. She is a recipient of a 2014 Leeway Foundation Transformation Award. Annie was the frontwoman for See-Through Girls from 2013-2015. Cat Fitzpatrick is a poet, teacher and editor. She teaches at Rutgers University - Newark, she co-edited the anthology Meanwhile Elsewhere: Science Fiction and Fantasy from Transgender Writers, and she wrote the poetry book Glamourpuss. Kayleb Rae Candrilli is author of What Runs Over, winner of the Pamet River Prize with YesYes Books. It is their first full length work and is a 2017 finalist for the Lambda Literary Award in transgender poetry. Candrilli currently serves as an assistant poetry editor for Boaat Press. They also served as the nonfiction editor of the Black Warrior Review and are published or forthcoming in TriQuarterly, Puerto del Sol, Boston Review, Adroit, Sonora Review, and many others. They are a 2016 Best of the Net winner, and have been nominated for Pushcart Prizes and for Best New Poets. In 2015, the Lambda Literary Foundation named them an Emerging Voices Fellow in nonfiction, and again in 2017 as a fellow in poetry. Candrilli holds a BA and an MA in poetry writing from Penn State University, as well as an MFA in creative writing, and an MLIS from The University of Alabama. They live in Philadelphia with their partner. You can read more here. 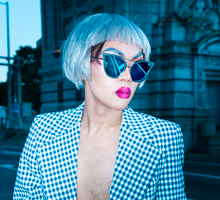 Wo Chan is a non-binary poet and drag performer. Wo is the author of the chapbook ORDER THE WORLD, MOM (Belladonna), and has received honors from the New York Foundation of the Arts, Kundiman, Lambda Literary, and the Asian American Writers Workshop. Their work centers on creating personal narratives about immigration, race, and gender in text and on stage. As a standing member of the Brooklyn based drag/burlesque collective Switch N' Play, Wo has performed at venues including MOMA PS1, Joe’s Pub, National Sawdust, New York Live Arts, and BAM Fisher. Wo was born in Macau, China, and currently lives in New York where they are an MFA Candidate in Poetry at NYU. For more of Wo’s work, check out: @theillustriouspearl in IG, @wochanofficial on Twitter, Youtube, and The Margins. Raquel Salas Rivera es la poeta laureada de la ciudad de Filadelfia del 2018-19. Sus poemas han aparecido en revistas tales como la Revista del Instituto de Cultura Puertorriqueña, Apogee, PEN Poetry Series y McSweeney’s. Del 2016-2018 fue co-editora de la revista literaria The Wanderer y co-editora de Puerto Rico en mi corazón, una colección bilingüe de volantes de poetas puertorriqueños contemporáneos. Durante el verano del 2018 trabajó junto con Raena Shirali, Kirwyn Sutherland y Ashley Davis, organizando un festival llamado We (Too) Are Philly e inspirado por el poema “I, Too” de Langston Hughes. Es la recipiente de becas del Sundance Institute, el Kimmel Center for Performing Arts, el Arizona Poetry Center y CantoMundo. Es la primera recipiente del Ambroggio Prize de la Academia de Poetas Americanos (Academy of American Poets) por su libro en español con traducciones al inglés, x/ex/exis. Cuenta con la publicación de seis plaquetas y cuatro poemarios. Su libro, lo terciario/the tertiary, enfrenta la ley PROMESA, fue finalista para el Premio Nacional del Libro del 2018 (2018 National Book Award) y fue seleccionado por Remezcla, Entropy, Literary Hub, mitú, Book Riot y Publishers Weekly como uno de los mejores poemarios del 2018. En el 2019, Birds, LLC publicará su quinto libro while they sleep (under the bed is another country) junto con imágenes realizadas por la artista puertorriqueña Mariana Ramos Ortiz. 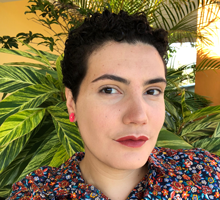 Raquel Salas Rivera is the 2018-19 Poet Laureate of Philadelphia. Their work has appeared in journals such as the the Journal of the Institute of Puerto Rican Culture (Revista del Instituto de Cultura Puertorriqueña), Apogee, PEN Poetry Series and McSweeney’s. From 2016-2018, they were co-editor of The Wanderer and co-editor of Puerto Rico en mi corazón, a collection of bilingual broadsides of contemporary Puerto Rican poets. In summer 2018, they worked alongside Raena Shirali, Kirwyn Sutherland, and Ashley Davis organizing a festival called We (Too) Are Philly, inspired by Langston Hughes’ poem, “I, Too.” They are the recipient of fellowships and residencies from the Sundance Institute, the Kimmel Center for Performing Arts, the Arizona Poetry Center, and CantoMundo. They are the first recipient of the Ambroggio Prize from the Academy of American Poets for their dual-language book x/ex/exis. They have authored six chapbooks as well as four full-length poetry books. Their book, lo terciario/the tertiary, which confronts the PROMESA bill, was on the 2018 National Book Award Longlist, and was selected by Remezcla, Entropy, Literary Hub, mitú, Book Riot, and Publishers Weekly as one of the best poetry books of 2018. In 2019, Birds, LLC will publish their fifth book while they sleep (under the bed is another country), which will include images created by the Puerto Rican artist Mariana Ramos Ortiz. We will have an end-of- year celebration at Kelly Writers House where the youth can share their writing with friends and family. Kavindu "Kavi" Ade is a writer, activist, arts educator, and nationally recognized spoken word poet. While best known for their gender identity poem titled "IT," Kavi's work most often bridges the realms of personal and political identity – navigating what it means to be Black, Transgender, Queer, and first-generation American all at once. Through their poetry the world unfolds itself in moments of cruelty, rage, and grief, but also beauty, wonder, and becoming. November 12, 2016: Guest Writers Levi Bentley and Leah B.
Levi Bentley co-organizes the Philadelphia reading series Housework at Chapterhouse. Their chapbook of poems, Bucolic Eclogues, from a larger manuscript of the same title, was released from Lamehouse Press in July 2016. Leah B (Ksenya Leah Basarab) creates experimental musical fragments and prose/narrative/essay-form written works. Her musical pieces are an energized form of communication that involves sharing a myraid of emotions, memories, and opinions via varying vocalizations, a bass guitar, timing effects/layers, sometimes a piano, and more rarely a cello. A founding member of the METROPOLARITY sci-fi collective, Eighteen is a hybrid mestiza cyborg and Philadelphia native who is frustrated/pissed with institutional distinction, empire and white supremacy, and fixed rather than fluid treatment of language and identity. They consider the spoken and written word handy and inexpensive tools for deconstructing oppressive world-ordering narratives. 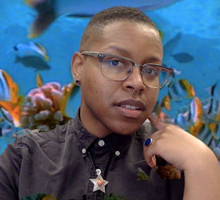 Cyree Jarelle Johnson is a Black non-binary essayist and poet living and working in New York. Their writing considers disability as a cyborg femme reality, femininity as resistance and rebellion, and Black pessimism. They are a founding member of A Collective Apparition, a Black queer and trans interdisciplinary arts collective. Their work has been featured in publications both domestically and internationally including Black Girl Dangerous, Feministing, and in the anthology Poems for the Queer Revolution. 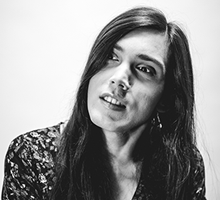 Trish Salah is a Lebanese/Irish-Canadian feminist writer and educator whose writing addresses trans themes as well as questions of diasporic Arab identity, anti-racism, queer politics and economic and social justice. Her first volume of poetry, Wanting in Arabic, published in 2002 then reissued, won the Lambda Literary Award for Transgender Fiction in 2014. Roof Books published her second book, Lyric Sexology Vol. 1, in 2014. Davy Knittle is a poet whose chapbooks include empathy for cars / force of july (horse less press) and cyclorama (the operating system). 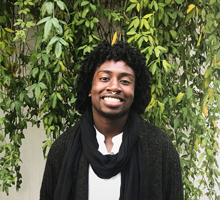 He is a PhD candidate in English at Penn, where he thinks about what cities and poetry have to say to each other, and how poetry might help cities make room for everyone who lives in them. Raquel Salas Rivera es unx poeta, traductorx, ensayista, y educadorx puertorriqueñx que vive y trabaja en Filadelfia. Ha publicado poemas, traducciones y ensayos en numerosas revistas y antologías; también ha publicado cuatro libros de poesía: Caneca de anhelos turbios (2011), oropel/tinsel (2016), huequitos/holies (2016) y tierra intermitente (2017). Actualmente, es editorx contribuyente y traductorx para The Wanderer. Si para Roque Dalton no existe revolución sin poesía, para Raquel no existe poesía sin Puerto Rico. Raquel Salas Rivera is a Puerto Rican poet, translator, essayist, and educator living and working in Philadelphia. They have published poetry, translations, and essays in numerous anthologies and journals, and as well as four poetry books: Caneca de anhelos turbios (2011), oropel/tinsel (2016), huequitos/holies (2016) and tierra intermitente (2017). Currently, they are a contributing editor and translator at The Wanderer. If for Roque Dalton there is no revolution without poetry, for Raquel there is no poetry without Puerto Rico. She is the founder of The Inanna D Initiatives, which curates, produces and cultivates events and initiatives designed to center and celebrate the work of TGNC Artist of Color. She is the Founder, Producer and Curator of La Ti Do’s annual Celebration of Trans Artist and Capturing Fire’s Alchemy. Nico is a writer, community organizer, and educator who lives in Bristol, Vermont by way of Philadelphia and San Diego. His work has appeared in Poet Lore, Nimrod International Journal, MiPOesias, HOLD, Big Bell, Plenitude Magazine, bedfellows, and APIARY Magazine. He is an alumni of the Lambda Literary Foundation's Writer's Retreat and an editor with Thread Makes Blanket Press. Nico's first chapbook, "Flower Wars" was selected by Eduardo Corral as the recipient of the Anzaldúa Poetry Prize. Special 3 hour session, 12 PM - 3 PM! CAConrad’s childhood included selling cut flowers along the highway for their mother and helping her shoplift. They are the author of nine books of poetry and essays, the latest While Standing in Line for Death from Wave Books (September 2017). They are a Pew Fellow and have also received fellowships from Lannan Foundation, MacDowell Colony, Headlands Center for the Arts, Banff, RADAR, Flying Object and Ucross. Guest writers Davy Knittle and Levi Bentley received a Leeway Foundation Art & Change grant to produce individual chapbooks (short books of literary writing) for youth in transcribez. This month’s transcribez will be a special session devoted to how to put together a chapbook manuscript, including tips on how to edit your work. Davy Knittle is the author of the chapbooks empathy for cars / force of july (horse less press 2016) and cyclorama (the operating system 2015). His poems and reviews have appeared recently in Jacket2, Fence, Denver Quarterly and The Brooklyn Rail. He lives in Philadelphia where he curates the City Planning Poetics series at the Kelly Writers House. Levi Bentley organizes the reading series Housework and edits with Jonathan Hamilton the journal Boneless Skinless. Bucolic Eclogue was released from Lamehouse Press in July 2016. They live in Philadelphia. 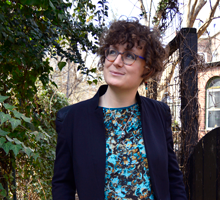 Faye Chevalier is the Nonfiction Editor of Apiary Magazine and a Master’s student at Temple University. Her work appears in places like Bedfellows, Horse Less Review, Alien Mouth, and elsewhere. We celebrated the launch of 11 chapbooks by transcribez participants with a reading and party. 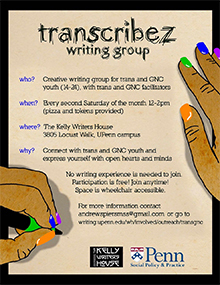 This monthly creative writing group is open and free of charge for youth ages 14–24 who identify as transgender or gender non-conforming (GNC). The group will meet on the second Saturday of each month during the Penn academic year, 12:00–2:00 pm. No experience or expertise in writing is necessary. Trans and GNC-identified guest writers will lead the group, and trans-identified facilitators will attend and support all monthly sessions. Pizza lunch will be provided, as well as SEPTA passes for transportation to and from the group. but you can also just show up and write! at any time during the year! Sessions will take place at Kelly Writers House, 3805 Locust Walk, on the University of Pennsylvania campus unless otherwise specified. Kelly Writers House is wheelchair accessible. Please contact Andrew Spiers at andrewspiersmss@gmail.com. Directions to the Kelly Writers House can be found here. Directions to the LGBT Center can be found here. 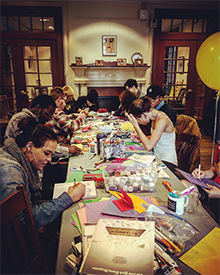 This project is a partnership between Kelly Writers House and UPenn's School of Social Policy & Practice, with support from the UPenn LGBT Center. For more on KWH Community writing projects, see: writing.upenn.edu/wh/involved/outreach.